One morning in September 1964 children began walking through the gates of Chancellor's School for the first time. It marked the end of a campaign by parents and local residents for the village to have its own secondary school. 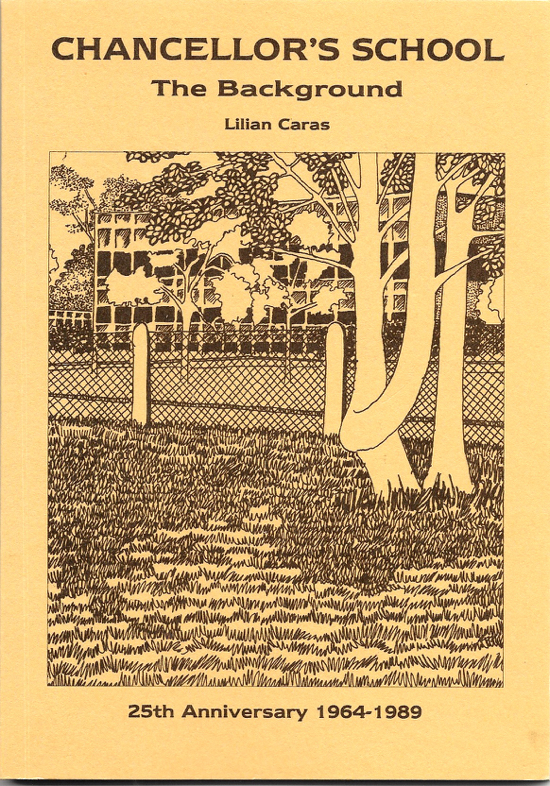 Lilian Caras's history sets out the circumstances leading up to the building of the school and charts its development. I thought that the 25th Anniversary of the opening of Chancellor's in 1964 was a good occasion to put together a background history of the School. For the purposes of my research I only used official papers and documents in order to create as accurate an interpretation as possible. This restricts the sort of story that emerges since many sour­ces of information, possibly containing personal details, are not available under the thirty year rule. Also, I did not want to rely on peoples's memories. To this end, I acknowledge the assistance of several members of staff of Hertfordshire County Council particularly Mr. Michael Tuck, Mid Herts Divisional Education Officer; Mrs. Shelagh Head and her assistants in the Local Studies Lib­rary; all the ladies in the County Records Office; Mr Alan Barley and Mr. Roger Brookfield in the Architect's Department; The County Planning and Estates Depart­ment; and Mr. Pritchard and Mr. T. Perry in the Education Department, many of whom came to my rescue when sources of material threatened to dry up. Mention must also be made of the kind co-operation of the John White Custodian Trust who are the successors in title to the executors of Mr John White. I would also like to thank Mr. Pat. Clarke for giving me access to papers that would not be available elsewhere; Mr. Ray Harvey for assisting me with the preparation of plans and drawings; Mrs. Vera Freeman for designing the front cover; M. J. Yalden for photographs; Mr Keith Begg, Senior Assistant County Architect; Mr. Geoffrey Williams, Principal Assistant Education Officer; Dr. Peter Kingsford, Mr. Frank Maynard, Mr. George Shiells, Mr Cohn Evans, Mr Paul and Mrs. Alison Wormleighton for reading the manuscript and offering useful advice. I am also delighted to include a List of Subscribers whose generous donations made the printing and production of this booklet possible. My thanks go to each one. 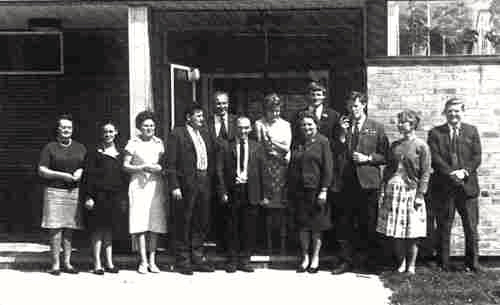 The first pupils at Chancellor's School crossed the threshold in September 1964. In this part of Hertfordshire it marked the end of a long journey started twenty years before with the passing of the 1944 Education Act. This Act raised the school leaving age to fifteen and divided free, compulsory education into primary and secondary sectors. Previously, elementary schools taught all children of school age in the same building with many having mixed-ability, mixed-age groups in the same classroom. Only the brightest or most fortunate of children were lucky enough to receive schooling after the age of fourteen by gaining scholarships to grammar schools or by having parents who could afford to pay the fees. This was certainly the case in the rural village schools surrounding the present Chancellor's School site such as North Mymms Boys in Welham Green, Water End Girls, Essendon. Cuffley, Northaw, Ponsbourne St. Mary in Newgate Street, Westfield and Little Heath. The 1944 Education Act was visionary in nature, being conceived as it was long before the end of the Second World War. It would need men and women of vision and determination in the Local Education Authorities around the country who were given the statutory obligation to implement it. By itself, the Act would have caused the whole nature of educational provision to be re-designed, particularly in terms of accommodation where a building programme would be needed to provide places for children of secondary school age. But, at the time the Act came into effect, Britain was at one of its lowest ebbs materially and economically. She had been victorious in the Second World War but found the problems on the home front daunting. The housing stock had been seriously depleted by bombing; there was a shortage of skilled labour and materials: and to cap it all, the birth-rate in the immediate post-war years rocketed. Within five years there would be more children requiring education than ever before. It was against this background that the men and women responsible for the provision of education embarked on the most ambitious scheme of transformation ever in the history of education in Britain. Hertfordshire County Council, as the Local Education Authority, rose to the challenge early. At a meeting of its Education Committee in October 1944, before the War had ended, a list of priorities was called for to decide where new primary and secondary schools would be needed and where reconstruction of existing primary schools would be required after the War in order to comply with the Act. A Development Plan for the provision of educational facilities in Hertfordshire was drawn up in 1947 and approved by the new Minister of Education on 30th June 1949. This plan included the provision of a two-form-entry mixed school for children between the ages of eleven and sixteen in Brookmans Park. It was to cater initially for senior pupils from the re-organised elementary schools in Essendon, North Mymms, and Northaw and for the village of Brookmans Park, which had an anticipated rise in population to 6,000 allowed for in the Plan and was urgently awaiting the building of its own primary school. The plan was designed to be completed in fifteen years. One of the first tasks was to reserve sites for the new schools. Thus started a long search for a site for a Secondary School in the Brookmans Park area. As early as January 1945 the Managers of the Parochial Schools in the Parish of North Mymms, which includes Welham Green, Little Heath, Brookmans Park, Bell Bar and Water End, stated that they had “no objection to a Secondary School at or near Bell Bar”. Accordingly, in June 1946 the Education Committee of the County Council approved the reservation of a school site in the Town Planning Scheme of 12 acres on “land on east side of Great North Road for two form entry Secondary school” in Brookmans Park next to the B.B.C. Transmitter Station. A site for a primary school was approved off George's Wood Road in July 1946. The search appeared to be over. But by November 1946, Hatfield District Education Committee was informed that a new site for a secondary school would be needed as the site to the east of the Great North Road had been taken over by the Wireless Station. The Committee made a recommendation that the County Education Committee be asked to provide a one-form Secondary Modem School in Brookmans Park. Meanwhile the Hatfield District Education Committee continued the search for a site. In January its Schools Sub-Committee was asked to consider a site in the Brookmans Park Westfield Area. One member asked if a site in the extreme south of the district could also be considered. In February the Sub-Committee reported that a site near the Middlesex border had been investigated and they made it their second preference. Mr. George Newell, Assistant County Architect, after inspection could not recommend a site in Swanley Bar Lane because of restricted access but looked at two other sites in Kentish Lane. In 1947 the Hatfield District Education Committee evolved into the Mid Herts Divisional Executive and was responsible for the local administration of education in the old Hatfield Rural District, Welwyn and Welwyn Garden City. In November 1947, its Secondary Sub-Committee was told that Middlesex County Council were proposing to erect a six-form entry school within yards of the proposed site in the south of the district and an alternative site had been suggested for the Brookmans Park school. This site was considered by the Architect's Department in October 1947. It was on the east side of Bluebridge Road, north of the brook, next to the sewage works. It was part of the Moffats Farm site which was subject to development proposals at this time. In January 1948 members of the Mid-Herts Divisional Executive visited this site for a two-form-entry Secondary Modern School and considered it suitable. In November both Hatfield Rural District Council's Plans and Town Planning Sub-Committee and Mid Herts Divisional Executive approved the designated site of eleven to twelve acres in Bluebridge Road. Form SB1 for the Acquisition of Land for Educational Purposes was issued by the Minister of Education on 26th October 1949. The question of where to site the new secondary school seemed to be settled. Yet concurrent with these investigations there was a change to the siting of the proposed Brookmans Park Primary School. In October 1948, the County Council's Education Finance and General Purposes Sub-Committee were informed that before negotiations for the purchase of 7.23 acres of land off George's Wood Road for a Junior Mixed and Infant School could proceed very far the proposed development of the village of Brookmans Park was to be restricted. In 1938, the population of Brookmans Park was 2,000. Professor Abercrombie's 'Greater London Plan', published in 1944, proposed that the population should be restricted to 2,500 in view of its position inside the Green Belt around London. This figure was much lower than the 7,500 envisaged by Hatfield Rural District Council in 1945 and the 6,000 anticipated in the County's Educational Development Plan. In early March 1947 Hatfield R.D.C. reported that it was awaiting a detailed plan for development for a population of 4,500 as recommended by the Mid-West Herts Joint Planning Committee. Yet by the end of the month the Plans and Town Planning Committee of the Rural District Council resolved to accept the figure of 4,000 recommended by the Clement Davies Report which had, by now, been accepted by the Minister of Town and Country Planning. 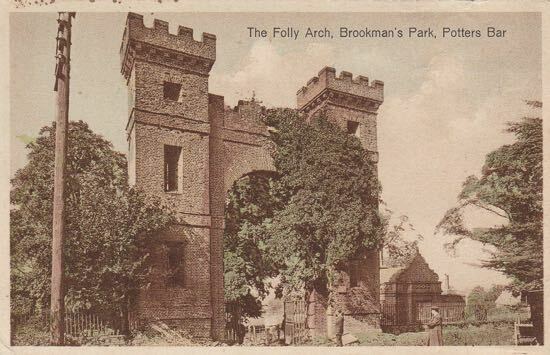 It further resolved that the ultimate population of Brookmans Park could be accommodated in the existing building frontages and roads, Hence further development for housing was to be restricted. Consequently an alternative site nearer to the centre of existing development would now be required for a combined primary school rather than the proposed separate junior and infant schools planned for the George's Wood Road site. The site in Bradmore Way where Brookmans Park Primary School was eventually built was chosen. Meanwhile a hitch had appeared in the plans to proceed on the Bluebridge Road site for a secondary school. Firstly, in November 1949, the Senior Assistant of the Land Commission in Brickendonbury had objected to the site for a school on part of Moffats Farm as it would lead to a reduction in the stock of agricultural land. He added that there was enough derelict land in Brookmans Park and suggested an alternative site between Westland Drive and Bluebridge Road. But this area of Brookmans Park had been the subject of numerous applications to develop for housing during 1949, many of which had already been approved, it would not therefore be available for a secondary school. Secondly, the impact of the Town and Country Planning Act 1947 was being felt. The Development Plan for Brookmans Park based on an ultimate population of 4,000 had caused a major re-think of plans already granted Interim Development Orders, many before the Second World War including some on the land where Chancellor's stands now. During the course of 1946 and 1947 detailed plans were submitted to Hatfield R.D.C. for approval for development on land already subject to Interim Development Orders. The Council now had to refuse these plans and, at the same time, set about revoking the Interim Development Orders. These included the Moffats Farm Estate; a new road north of the golf course; and roads off Pine Grove. These last two were applied for by a Mn John White. Mr. John White appealed against the Rural District Council's refusal to grant development rights. The Appeal was heard in August 1947. In October 1949 the result of the Appeal was reported to the District Council's Plans and Town Planning Committee. The Minister of Town and Country Planning expressed the view “that the area, including the land under appeal, which lies between the golf course and Pine Grove, should remain free from future development”. John White's Appeal was dismissed. Now almost the inevitable happened. In April 1950 the Mid Herts Divisional Education Officer wrote to the Architect's Department at County Hall suggesting a site off George's Wood Road for a secondary school. In May 1950 plans were received by the Architect's Department showing a twelve-acre site close to the golf club house. 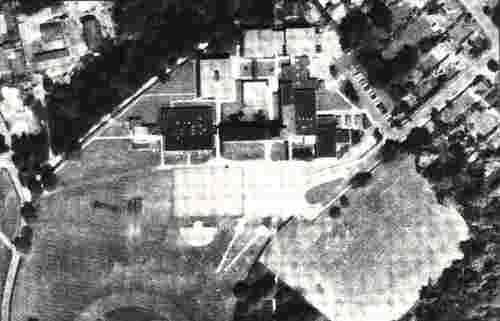 By October 1950 the County's Education Committee were asked to approve the reservation in the County Plan and ultimately purchase 12.09 acres of land in Brookmans Park, off Golf Club Road and The Drive, for a two-form-entry secondary modern school. Yet, surprisingly, it was to be another five years before the County Planning Officer was able to report to the Education Committee, in April 1955, that approval as far as planning was concerned could be granted, which resulted in the Education Committee giving approval for the acquisition of a 10.05 acre site in Brookmans Park for a two-form-entry Secondary School. What caused the delay? Finding a site is not the same as acquiring a site. The land in question had three different owners, Mr. White, a Miss George and a Mr. Ingram, and one of these in particular, Mr White, who owned the largest portion, was still hoping to develop the land for housing. Mr John White had been one of four members of a syndicate, later known as Brookmans Park (Hatfield) Estate Ltd., which had purchased the Brookmans House Estate from the Gaussen Family in November 1923 for £42,000. The Gaussen Family had owned the land since 1786. The Company's plans to develop Brookmans Park as a commuter estate were slow to take off, despite the opening of the railway station in 1926. Eventually the Company went into voluntary liquidation and Mr J. White together with another former member of the original syndicate, a Mr. J. J. Calder, bought back the property in June 1933 for £55,000, subject to the approval of the Court, with the intention of continuing what the Company had started but as individuals. Mr. White took all the land north of Georges Wood Road and Brookmans Avenue whereas Mr J. J. Calder took all the land to the south of these two roads. It was in this capacity that Mr. White had applied for permission to develop the land for housing. He had an appeal pending in respect of refusal to build four roads off Pine Grove, the entrances to three of which are still visible in Pine Grove today. Although the Minister had given a decision on the land in 1949 this appeal was important as Mr White stood to benefit far more financially if he could obtain permission to develop the land for housing. He was certainly not going to sell to the Local Education Authority until this crucial point was settled. And so the delay continued. 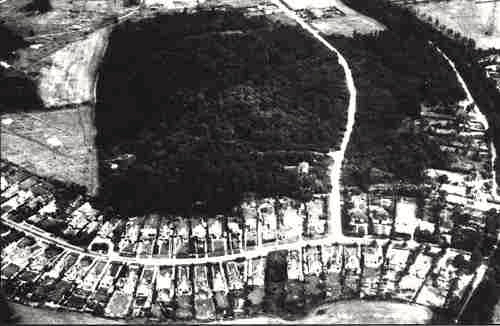 As late as 1960 Mr. White was still attempting to determine the type of development likely to be permitted on the land. This followed a recent decision of the Minister of Housing and Local Government to dismiss an appeal by Mr. J. J. Calder for refusal to develop land, bordering Mr. White's off George's Wood Road and Golf Club Road. Reasons given by the Minister were that the proposed development was an isolated intrusion of ordinary residential development into the Metropolitan Green Belt and he could see no special circumstances to justify a departure from accepted Green Belt principles. The County Planning Officer was approached informally for clarification with regard to this point. He was asked what type of development he was likely to find acceptable on the site. His informal view was that the following would be permissible: existing use, agriculture, horticulture or smallholding, recreation or playing field, school or college. It was on the basis of this opinion that Mr. White appeared to give up hope of ever receiving permission to develop the land for housing and negotiations for the sale of the land he owned started in earnest with the County Council. The sale of the land included Golf Club Road and The Drive. The landowners were particularly anxious to avoid responsibility for making-up these two roads and any sale to the County Council would be conditional on this specific issue. County's attempt to purchase the land from Mr. White received another setback in early 1961 when Mr. White died. The Council now proposed a procedure for acquisition whereby the owners sign an agreement to sell the land at a price subsequently to be agreed on the basis of the Town and Country Planning Acts and failing agreement, by the Land Tribunal. The procedure was similar to a Compulsory Purchase Order. This was a great advantage for the Council as at least it knew the land would be available for building on at the time it was required. In October 1961 a meeting was arranged at Brookmans Park Golf Club with all interested parties being present. One result of this meeting was that the Executors of Mr. John White agreed to sell the land to the County Council. However, it would not be until March 1963 that details of the provisional conditions of sale were reported to the Council's Education Finance and General Purposes Sub-Committee. The purchase of the freehold interest would be £2,000. The County Council would acquire the land forming the road on the western boundary (Golf Club Road), and would take over all future liability for its maintenance. In addition the council were required to pay to the Ministry of Housing and Local Government a sum estimated at about £10,000 which had already been paid out for loss of development rights. The area of the site purchased from the Executors of Mr. White had been increased to 15.63 acres. This was in addition to 0.37 acres purchased by the County Council from Mr. Ingram in 1962 for £170 plus £537 2s. l0d. to the Ministry of Housing and Local Government under Section 52 of the Town and Country Planning Act 1954. Rights of Way and shared maintenance arrangements for Golf Club Road were the subject of an Arbitration Agreement between Brookmans Park Golf Club. Mr.J.J. Calder, who owned land bordering the proposed school site, and Mr. White, which the Council would take over after the sale was completed. Rights of Way and maintenance of The Drive were equally complicated but similar. So, finally, nearly twenty years after the Education Act was passed in 1944 and thirteen years after the site was first designated in 1950 the search and purchase were completed. The sense of the urgent need for the school can be seen from the fact that in less than eighteen months the first pupils would cross the threshold and turn the Plan for a secondary school for the children of the villages in the area into reality. The Education Act is now the law of the land. The Bill has been placed on the Statute Book by a joint effort in which I gratefully acknowledge the aid and advice of those who speak for the Local Education Authorities. Now to convert legal phraseology into a living force will call for great and sustained exertions. This was the stirring message sent to Local Education Authorities in 1944 by the Minister of Education, Mr. R. A. Butler, nearly a year before all hostilities had ended in the Second World War. There was little opportunity for Local Education Authorities to take action in the immediate future but planning for the post-war education of the Country’s children could begin. The Act was designed to have a fundamental effect on all levels of education but had specific implications for secondary education. The Act had made it a statutory requirement for Local Education Authorities to provide secondary education for all children up to the age of fifteen from 1st. April 1945. It, thereby gave the force of law to the pre-war policy guidelines in the various Reports on Education by the Board of Education’s consultative committee of the 1920s and ‘30s originally under the Chairmanship of Sir Henry Hadow. It was Hadow’s intention that elementary schools should be reorganised to take children up to the age of eleven. All children over eleven would be transferred to separate secondary schools. The secondary sector would be sub-divided into three categories to suit children of different aptitudes and abilities: grammar, technical and modern. Places for the children of Hertfordshire at all three types of school had to be provided as well as the separation of primary and secondary sectors. This latter pro­cess was referred to as “Hadow” reorganisation. In September 1944 Hertfordshire County Council’s Education Secondary subcommittee discussed these two issues. It discovered that 11,728, or 23%, of children in Hertfordshire attended unreorganised schools. Of these, 4.439 pupils were over the age of eleven. In addition, with the raising of the school leaving age from fourteen to fifteen, a further 3,000 more children would require secondary school accommodation. The Committee were of the opinion that “For the children to remain for an additional year in the conditions obtaining at many of the smaller country schools in particular and at some urban schools also, where no playing fields or practical instruction rooms and no assembly halls are available, will not only place a considerable strain on the teachers, but will render almost worthless the extra year of school life. It is hoped that the conclusion of hostilities will see an improvement of transport facilities, which will have the effect of permitting the older children from many unreorganised schools to be conveyed to existing senior schools as a temporary measure. Whilst the Committee realised the limitations of the situation it was in, it suggested certain principles, one of which was that, at least, arrangements be made to transfer thirteen to fifteen-year olds to reorganised schools. But even this would cause over­crowding in existing secondary schools. The seriousness of the problem was recognised by the Minister late in 1944 and the Education Committee was informed that “owing to the impossibility in the present circumstances of finding the additional teachers and of providing the additional accommodation (including the repair of war-damaged schools)” the raising of the school leaving age to fifteen would be delayed until after 1st April 1946. In fact it did not come into effect until 1st April 1947. Nevertheless arrangements had to be made for this later date. The Government introduced a scheme known as HORSA (Hutting Operation for the Raising of the School Leaving Age). 600 HORSA units of two classrooms each were put up at Hertfordshire schools between 1947 and 1950. Many of these were attached to unreorganised elementary schools purely to provide separate accommodation for the older children. This was the case in both Cuffley and Little Heath Schools. It is felt by some that HORSA caused the postponement of the building of many secondary schools subsequently. Reorganisation was the priority before 1947, however. The County’s Education Secondary subcommittee received a Report on the reorganisation of schools in Hertfordshire in June 1945, only one month after the War in Europe had ended. It pointed out that, particularly in the rural areas, reorganisation had not been completed when the outbreak of war put an end to school building. Twenty new secondary schools would be needed to respond to the Ministry of Education’s latest pamphlet ‘The Nation’s Schools’. Nowhere was the need for such reorganisation more needed than in the Parish of North Mymms and in the rural areas around Brookmans Park. Accordingly a one-form-entry secondary school was proposed for Brookmans Park as described in the last chapter. At the time the Education Act came into force all the local primary schools were unreorganised. Children who passed the new eleven-plus examination could transfer to Queen Elizabeth Boys and Girls Schools in Barnet, since Barnet at this time was still under the administrative control of Hertfordshire. The nearest secondary modern school was St. Audrey’s C.E. School in Endymion Road, Hatfield. Unfortunately this had been destroyed by enemy action in October 1944. In June 1945, therefore, the only secondary modern school in the area was housed in temporary accommodation and consisted of four classes in the Public Hall, two classes in the Hatfield Court House, two classes in the County Surveyor’s Hut and some classes at Newtown Junior School largely using salvaged desks and chairs. One of the first tasks, therefore was to provide permanent accommodation for St. Audrey’s. A new building was erected on the old site by the Managers. There was a shortfall in financing the project so the County Council was asked to take over the new school as a ‘Controlled’ school under the new Act. The new St. Audrey’s Secondary Modem School was formally opened by the Minister of Education on 26th July 1946, being the first new school to be built in the country after the Second World War. This did not relieve the problem substantially, however, as two letters to Hatfield District Education Committee in July 1946 demonstrate, These letters were from parents requesting that their children be transferred from North Mymms Boys and Little Heath schools to St. Audrey’s Secondary Modern School. The child from North Mymms Boys School was allowed but not the child from Little Heath as accommodation at St. Audrey’s was limited. In October 1946 the poor educational facilities available to senior children still attending unreorganised schools in North Mymms was raised at the Hatfield District Education Committee’s meeting with the hope that these children, who would eventually go to the Brookmans Park Secondary Modem School, could be accommodated in St. Audrey’s. The Committee was informed that since the autumn however, the numbers had increased and unless further accommodation was taken this would not be possible. A letter was written to the Governors of St. Audrey’s asking them to consider taking the North Mymms children if any extra classroom space could be found, possibly at the Congregational Hall. The Governors replied that there was very strong local feeling in Hatfield about children occupying huts outside the school so the children of North Mymms could not be taken. The Committee still persisted, even suggesting that a gate be provided in the fence between the Congregational Church and the school. The matter of the reorganisation of North Mymms schools was taken up at County Hall. 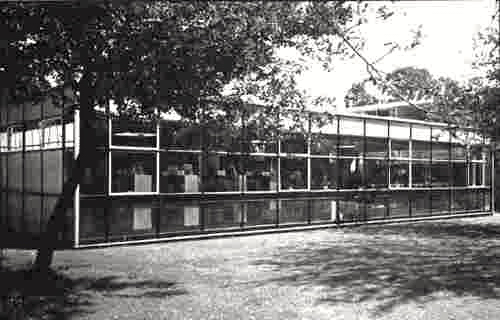 It was recommended that three hutted classrooms would be needed at St. Audrey’s to cope with the raising of the school leaving age and that a one form entry Secondary Modern School be provided in Brookmans Park to relieve overcrowding for the children of North Mymms, Little Heath and the Westfield area. With the raising of the school leaving age to fifteen in April 1947 it was agreed that the children staying an extra year at North Mymms Girls and North Mymms Boys schools should transfer to St. Audrey’s to have the advantage of a secondary modern education in their last year. The rest of the senior pupils would have to stay in their all-age five to fourteen schools. In November 1947 the local education committees were themselves reorganised. The Hatfield District Education Committee evolved into the Mid Herts Divisional Executive. One of the ten Powers and Duties given to its Secondary subcommittee was “to engage the sympathy and support of the parents and to promote activities in the interest of secondary schools and the teachers”. It was responsible for the Mid Herts area, which included Welwyn Garden City, Welwyn Rural District and Hatfield Rural District. It had four secondary schools in its area: two in Welwyn Garden City, one in Welwyn and St. Audrey’s Secondary Modern School in Hatfield. Cuffley was excluded at this time on the grounds that it should be in East Herts. Potters Bar was catered for by Middlesex County Council until April 1965. The problems for the new Divisional Executive were no less difficult than for its predecessor. But it may have been heartened by the criteria announced in February 1948 in order for projects to qualify for inclusion in the County’s Educational Building Programme. These were to meet new housing developments or increased birth rate or to relieve gross over-crowding. Hatfield Rural District appeared to qualify on all counts and great efforts were being made to find a school site in Brookmans Park as described in the previous chapter. Meanwhile temporary relief was found for the children of the Hatfield Rural area with the opening of Howe Dell Secondary Modem School in Hatfield in January 1949. Accommodation was in three prefabricated buildings of three classrooms each made by Arcon Ltd. This extra accommodation made it possible, at long last, to reorganise the rural schools of North Mymms Boys. North Mymms Girls, Little Heath County Primary, Northaw Voluntary Primary. Newgate Street Voluntary Primary and the Royal Victoria Patriotic School in Bedwell Park. In October 1948 Mid Herts Divisional Executive Secondary Sub-Committee were asked by parents of children at Westfield School if their children could transfer to Howe Dell School at age eleven. They were told they could lilt was agreed by the Managers of the School. Two interesting asides mentioned in the Executive’s Minutes in 1949 were requests for schools to help out with the harvest due to the shortage of labour and the new Instruments of Government of Secondary Schools. This latter related to nominations to governing bodies of schools where some of the pupils were girls. In this case one third of members nominated, with a minimum of one, should be women. With the official opening of Howe Dell on 26th March 1949 the immediate concerns for North Mymms secondary children altered from accommodation to transportation. The Divisional Executive discussed the cost of the fare from Essendon and North Mymms to Hatfield in March and May 1950. Also parents asked that a bus shelter be provided at Essendon Mill and an additional bus to take their children from Essendon Church to Essendon Mill. The high cost of hired transport to Howe Dell School in the Old Rectory. Hatfield for 160 children from all-age village schools was reported to the County’s Education Special Services Sub-Committee in December 1949. This amounted to £4 10s. per day (£4.50 in decimal currency). The total cost of school transport in Hertfordshire in the year ending 31st March 1948 was £66,649. This short respite from accommodation problems with the opening of Howe Dell School did not last long. The County’s Planning Committee was informed in June 1949 that a New Town for 26,000 people was planned for Hatfield. The population was currently 8,250. Two new Secondary Modern Schools of four-form-entry, one gram­mar school of one-form-entry and a technical college would be needed. Meanwhile one of the last unreorganised rural primary schools in the area was reorganised. That was Cuffley Primary School. In September 1952, fifty-seven senior pupils transferred to Cheshunt, Cambridge Road Secondary School. This was despite the new scheme of Divisional Educational Administration whereby Cuffley Junior and Infants schools were to be included in the Mid Hens Division. In September 1954 Burleigh Secondary School in Hatfield admitted children for the first time. Two schools would be created out of the existing St. Audrey’s in Hatfield. Children living south of the St. Albans/Hertford Road, which included the North Mymms and Brookmans Park children, would remain at St. Audrey’s with the rest of the children transferring to the new Burleigh School in Wellfield Road. Howe Dell, which had become a department of St. Audrey’s, would cease to be used for secondary education from September1954 whilst it was intended that St. Audrey’s would transfer to a new site in Travellers Lane in 1956. As is common in all such schemes the official opening of St. Audrey’s on the new site did not take place until 17th October 1958. The old St. Audrey’s School building is now occupied by Countess Anne Primary School. Similarly the old Howe Dell Secondary School is now a Primary School with the same name and still using the Arcon classrooms. It would not be until this was achieved that for the rural children in the Brook­mans Park area. R. A. Butler’s message of 1944 would have any real relevance. It was this action that, for them, would “convert legal phraseology into a living force”. October 1961 was a turning point in the fortunes of Chancellor’s School. It witnessed the meeting in Brookmans Park Golf Club at which the sale of the land was agreed in principle and the Report to the County’s Education Committee stating that from l963 the children from the rural areas of the Mid Herts Division could no longer be accom­modated in Hatfield Secondary Schools. It marked the end of the old struggles and the start of the new reality. The speed at which everything happened from that date can only be attributed to the careful and innovatory planning on the part of the Education and Architect’s Departments of Hertfordshire County Council. This was a process that these two departments had perfected over the previous seventeen years. As has been outlined in proceeding chapters the County had been working to a Development Plan of needs as perceived in 1947. Obviously not all projects could be undertaken at once for financial reasons. Also the lack of building materials and skilled labour in the immediate post-war years imposed their own limitations. The County devised a scheme to tackle the Development Plan which was novel in its time and was so successful that it was adopted nationally later. The scheme had two strands. The first involved drawing up a list of priorities and working to a Building Programme which could rely upon a planned supply of materials and expenditure. The second was the development of a building system which was relatively cheap and quick to assemble. This scheme came about largely through the meeting of two minds: Mr. John Newsom, County Education Officer, and Captain Stirrat Johnson-Marshall, Deputy County Architect. John Newsom was anxious to get to grips with the implementation of the 1944 Act and obtain the best-designed schools for his County. Johnson-Marshall was interested in developing architecture in socially desirable ways. The ambitious building programmes being planned by Newsom needed a new way of approaching architecture and building in order to be achieved. Until 1945 Hertfordshire had no independent Architect’s Department. This was set up under the leadership of the first County Architect, C. H. Aslin. It was Aslin who appointed Johnson-Marshall as his deputy later in 1945. As the Department had many calls on its services Aslin was prepared to give Johnson-Marshall a free-hand in designing schools and in masterminding the schools programme. What Johnson-Marshall was responsible for was the introduction of an indus­trialised building system which was constructed in factories and assembled on site. It required a unique working partnership between the architects at County Hall and the manufacturers of the system. It involved the introduction of standardised parts such as windows and doors which could be purchased in bulk. Assembly on site rather than building on site reduced labour and building time. All combined to reduce the cost of new schools in Hertfordshire and, most of all, save time. This did not mean that all schools had to look the same, however. Each school could be designed according to the needs of its pupils and the site. The secret of this adaptability was a grid system of planning using a light steel frame construction. One of the ways in which time could be saved using this system as opposed to traditional building methods was on the foundation work. A solid foundation was not necessary. Instead, at the base of each vertical steel support of the structural frame, a concrete pad only was needed as a foundation. Thus the man-days necessary to build a new school were reduced from 7,448 for a traditionally built school to 4,378.5 for the new steel grid system school. 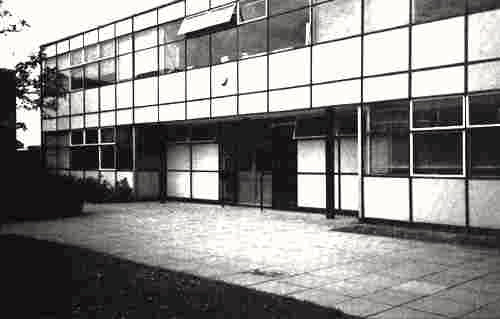 The design teams at County Hall started by using an 83” grid, experimented with a 3/4” grid and eventually settled on a 2’8” grid before they joined in partnership with the Ministry of Public Building and Works, and the counties of Kent and Essex to form the South-Eastern Architects’ Collaboration (SEAC) in 1963. SEAC developed various systems known as ‘Marks’, As will be shown Chancellor’s School buildings incorporate a range of these different development stages which explains the lack of uniformity of design between the teaching blocks. Johnson-Marshall left Hertfordshire County Council in 1948 to become Chief Architect to the Ministry of Education but the system he inspired was perfected and refined by many able Hertfordshire architects after him. 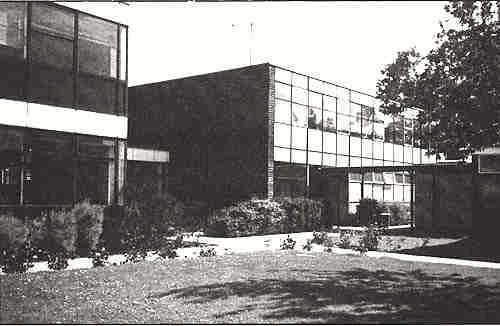 The building programme using the new system began in 1947 and was so successful that by the autumn of 1954 the 100th new school was completed in Hertfordshire. But this was not without set­backs and it was the continual pressure by John Newsom on the Ministry of Education that made sure that the momentum was maintained. Some idea of the setbacks encountered can be obtained from the Report to the County’s Education Committee in April 1952. The new Conservative Government put an embargo on starting dates for school building projects from October 1951, when they were elected, until spring 1952. The 1952/53 Building Programme was cancelled although it had previously been approved by the Ministry of Education. Housing was the major priority at the time. The Committee were informed that “the national shortage of steel and the steel rationing scheme has made it not only more difficult to build future schools but has already had the effect of slowing up a number of schools now under construction”. These delays caused the loss of 1,200 Secondary school places in Hertfordshire alone. This situation continued on and off throughout the 1950s. In 1959 the Government issued a White Paper ‘Secondary Education for All - A New Drive’ in an attempt to cope with the overcrowding in many of the Country’s secondary schools. The County’s Education Committee discussed their response to this document in December 1959. It noted that “As a result of the Ministry of Education limitations on the 1960-62 school programme, it is expected that at least 75 per cent of the Secondary schools in Hertfordshire will be overcrowded in 1962-63 by Ministry standards”. The Committee approved a list of projects to relieve this overcrowding for the period 1962-65. It included a three-form-entry Secondary Modern School for Brookmans Park for 450 pupils. In September 1960 the County’s Education Secondary Sub­Committee were informed that approval had been received from the Ministry of Education for this project in the 1962-63 Major Building Programme at an estimated cost of £165,880. At last all the disparate issues behind the building of a new school were coming together. In May 1961 the Secondary subcommittee discussed the Governing Body of the proposed Secondary School at Brookmans Park and a complete specification of its accommodation. This included an Assembly Hall, Gymnasium, Library. staff and administration rooms, 24 classrooms for geography, music, needlework, general science. metalwork, woodwork, housecraft, art and craft. All this was in the one L-shaped block with an area of 39,202 square feet. Provision for a youth wing was also included. The School would be built using a steel frame manufactured by Hills and Com­pany of West Bromwich, a pioneer of this type of construction, with heating supplied by Andrews-Weatherfoil Ltd. (Heating). In October 1961 the Mid Herts Divisional Executive was given a progress report. County had appointed an outside architect. Vine & Vine of Wood Green, which was normal practice for secondary school projects as a way of relieving the pressure of work in the Architect’s Department. The working drawings were nearing completion. Planning approval had been granted by Hatfield District Council on 12th May 1961, despite some objections from local residents. At this point the project suffered a slight hitch. The Ministry had given approval for an expenditure of £198,058 for building works. Nine tenders had been received ranging from £204,015 to £216,744. The lowest was from C. Miskin and Sons Ltd., of St. Albans. This was £5,957 in excess of the amount allowed by the Ministry. The cost of the project was considered unusually high due to abnormal items such as the high level of fencing and the external road charges imposed as a condition of sale of the land. Reductions therefore had to be made. The contingency provision was reduced to £2,000, Minor amendments were made to the building specification and the scope of external works was reduced to bring the contract sum to the amount approved by the Ministry of Education. The County still had to find a further £3,045 from their own resources in order to proceed with the project at the earliest opportunity. This was in addition to an increase in the furniture costs by a further £1,988 already approved by the County in November 1962. One other setback concerned the Youth Wing. The 1944 Education Act included the provision of community and youth centres. In May 1946 the Education Further Education subcommittee recorded that the “Ministry regard community centres as an essential part of the educational services of a locality and a normal responsibility of the Education Authority”. In March 1962 the Mid Herts Divisional Executive Further Education Sub-Committee received a Report about the provision of youth clubs in the Brookmans Park area. It stated that “the needs of young people in Brookmans Park were inadequately met by one Youth Club meeting in their own small club room adjoining St. Michaels Church and in private houses. The building of the school would enable this group to expand their specialised activities by making available to them its facilities”. There were fourteen to twenty youths in the group. The Sub-Committee recommended that a Youth Wing be included in the proposed Brookmans Park Secondary School. This was duly submitted to the Minister for inclusion in the 1963-64 Building Programme. In January 1963 the Minister’s decision was reported to the Education Committee at County Hall. The Youth Wing was not to be proceeded with. At the January 1963 meeting the Committee agreed to the extra expenditure, and work on the new school commenced in February of that year. The next problem was to decide on a name for the new Secondary Modern School in Brookmans Park. This subject was on the Agenda of the Mid Herts Divisional Executive Secondary Sub­ Committee in March 1963. There were two suggestions, ‘Gobions’ and ‘Chancellor’s’. At its next meeting in June 1963 the following was recorded in the subcommittee’s Minutes: “The last meeting of the Committee recommended that the school be known as ‘Gobions’.” The Education Urgency Sub-Committee at County Hall declined to accept this recommendation at its June 1963 meeting however, and referred the matter back to the Divisional Executive so “that a more attractive title be selected”. At the meeting of the Divisional Executive in July 1963 it was recommended “that the school be known as Chancellor’s School”. There is some controversy locally as to how the School obtained its name. This relates to Brookmans Park being fortunate enough to have two Lord Chancellors associated with it, Sir Thomas More and John Lord Somers. There is no evidence that Sir Thomas More ever lived in Brookmans Park but there is no doubt that his family owned a property, More Hall, which once stood on the land now known as Gobions Open Space. The More family’s interest lasted for nearly two hundred years, from 1500 to 1693, during which time it was temporarily confiscated by Henry VIII. There is no question of the involvement of John Lord Somers in the Parish. He owned and lived at Brookmans House from 1701 until his death in 1716. He was buried in St. Mary’s Church. North Mymms where there is a Memorial to him. Chancellor’s School was built on land that was part of the Brookmans House Estate and North Mymms Common. The Great North Road passed across the land between these two pieces of land until around 1851, when it was redirected to its present route. The meeting of the County’s Education Urgency Sub-Committee on 30th July 1963 settled the issue even if the evidence given for the choice of name was dubious. The Report stated that “The Divisional Executive have now reconsidered the matter, and in view of the fact that the house which stood on part of the site some 400 to 500 years ago was occupied by the Lord Chancellor of England in the reign of Henry VIII, now recommend that the school be known as Hatfield, Chancellor’s Secondary School”. This recommendation was duly approved. Progress on the detailed arrangements for the organisation of the school now referred to as Chancellor’s started in earnest. A governing body had to be constituted and nominations were sought. In December 1963 those nominated by the Mid Herts Divisional Executive were reported as Mrs. Kent-Lemon, The Rev. B. Tunstall and E. K. Atkinson. Those nominated by Hatfield Rural District Council were Cllr. Mrs. W. E. M. Peacock, Cllr. W. G. Humphrey and Cllr. C. S. Weedon. Mrs. P. Hughes, Mrs. J. M. B. Mackie and W. T. Rogers were nominated by the County Council. Their term of office commenced in January 1964. One of the first tasks of the new Governing Body, under the Chairmanship of Mr. Graham Humphrey, was to appoint a headteacher. In March 1964 the County’s Education Secondary Sub-Committee was informed that Mr. F. Maynard had been appointed from 1st September 1964. He was currently the Deputy Head of The Onslow School in Hatfield. One of his first jobs was to decide upon a uniform and badge. Frank Maynard describes in an article” how he tried in vain to draw a full-bottomed Lord Chancellor’s wig - the school’s chosen emblem. Eventually a sketch was donated by Ede and Ravenscroft, Robemakers to H. M. The Queen. Frank Maynard also recalls in the article his first four appointees to the teaching staff: Mr. David Johns. Head of English; Mr. David Noble, teacher of Technical Studies and Mathematics; Mr. Michael Gregory, teacher of Science and Mathematics; and Miss Marion Froggatt, teacher of Music and General subjects. These four were joined on the first day of the opening of the School by three part-time teachers: Mrs. Sylvia Martin, English, History and Needlework; Mrs. Audrey Elliott, Housecraft; and Mrs. Christa Turner, Physical Education. Mrs. B. Hill was the School Secretary. The Canteen Staff consisted of Mrs. D. D. Housden, Cook-in-Charge, with Mrs. Bates and Mrs. Holmes, kitchen assistants. Mr. G. J. N. Bates was the Schoolkeeper. In September 1964 seventy-two children from Brookmans Park, North Mymms, Westfield. Essendon. Newgate Street, Northaw and Little Heath crossed the threshold. The organisation of the classes had been done to balance out abilities and achieve “a spread of children from the catchment area, so that the isolationism of the villages would be broken down and Chancellor’s would become a community”.” This began a tradition that has continued to this day. The end of the journey which had started twenty years before had been reached and the children of the rural communities of Mid Herts finally had the School they had waited so long for. But the completion of the building of the School as it is today still had a long way to go. It had taken twenty years from the passing of the Education Act in 1944 until Chan­cellor’s School admitted its first pupils. It would be another ten years before the school buildings as they now stand were completed. When the School opened in September 1964 not all the accommodation was avail­able for use. The administration block and main teaching block were ready but the practical block was not finished until November 1964. The School was designed to take 15 forms, i.e. three forms of entry for five years. In line with the accepted practice for a Secondary Modern School at the time, it was not intended to have a sixth form. The specification for the project required that the classrooms in the main teaching block had a southerly aspect with cross ventilation. Absence of noise from neighbour­ing classrooms was important. The music room was to be as far away as possible from other school activities. One early problem was identified and rectified when the school was completed and occupied. The Contractor had failed to put in the seals on the frames and, with the first southerly rain shower, water leaked into the classrooms in the main teaching block. Similarly, a north-westerly rainstorm showed the same fault on the north walls of the teaching block - fortunately, some three weeks before the builder’s maintenance period expired! Another, more important effect on the school design is outlined in the Report of a site meeting held at the School on 2nd June 1965. Present at the meeting were the Headmaster, Mr. Maynard; the Assistant County Architect, Mr. Davies; a representa­tive from the Architects. Vine and Vine, Mr. Stevens; the Assistant Education Officer, Mr. Trollope; the Advisory Assistant. Mr. Erskine; the Deputy Divisional Education Officer, Mr Day; and a representative of the Education Department Mr. Norman. The Report records that “It is a pity that the main entrance to the school is in a position where it is not used by visitors … the school was originally designed to have access from the drive. The access was abandoned due to the expense, but will be pro­vided at a future date, and at that time therefore visitors will not approach the school via the present access”. It was felt that the planting of shrubs would soon hide the fuel tank and the appearance would be reasonable. This item was to be discussed by the Governors who would pursue the matter if they wished access to the school to be from The Drive. Access today is still via Pine Grove. At the same site meeting early problems with the width of the turning circle were identified. The good turning facilities in the original design had had to be reduced to enable building contracts to proceed to a sum within the Department of Education and Science’s cost limits, as outlined in the last chapter, the turning circle was also the unloading bay for the School kitchen and, consequently, there was not enough room for coaches to turn. This fault would have to wait several years before it was, finally satisfactorily rectified. 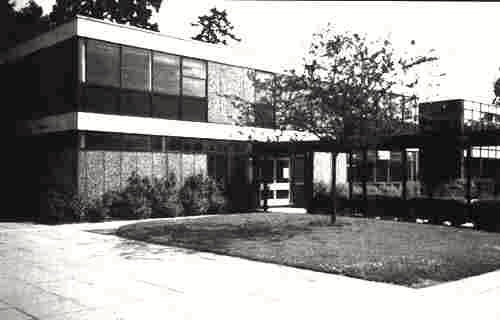 A three-form-entry secondary school for Cuffley was, therefore, included in the 1966-67 Major Building Programme. 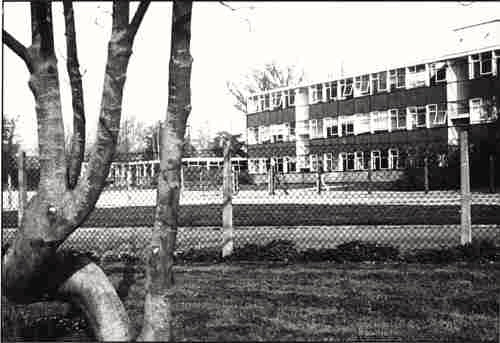 The Education Committee was informed in October 1965 that the Department of Education and Science had approved a three-form entry school for 450 pupils in Cuffley. The cost of the first instalment would be £215,724. Work on a sketch plan of the school was virtually complete and working drawings were to be prepared “in view of the growth of the area with the consequent urgent need for this school”. Before this project progressed much further major changes in the way that secon­dary education was structured and organised in Mid Herts began to be discussed. Secondary selection by written test had ceased in Mid Herts from September 1964. It was the view of the Mid Herts Divisional Executive Secondary Sub-Committee, as recorded in the Minutes for 27th November 1963 that the present procedure placed an undue influence on the work of some primary schools and on individual children. With the introduction of the Certificate of Secondary Education (CSE) in 1965 and evidence that some secondary modern schools were already offering General Certificate of Education (GCE) courses, it was no longer a “life and death matter to get into grammar school as twelve years ago”. The Committee recommended that secondary selection in 1964 “should be operated on the basis of the opinions of the schools con­cerned, and detailed investigation of individual cases”. This view of examination courses in secondary modern schools was in marked contrast to earlier views expressed by the Mid Herts Divisional Executive. In March 1948 its Secondary Sub-Committee, in response to a request that children be allowed to take GCE, stated that although it “realised there was a certain demand from parents for some form of certificate, the general feeling was against examinations since it would destroy the individual and local aptitudes of the secondary modern schools”. Again, in February 1956, it repeated that the GCE was not felt a suitable exam for a Secondary Modern School since only one or two children a year would profit by study. They could go to a College of Further Education. When Chancellor’s opened, a more flexible attitude prevailed and the School found, as others had, that its pupils, even from the very first intake in 1964, were quite capable of taking the GCE examinations at both ‘0’ and ‘A’ level. Such experiences brought into question the whole basis of secondary selection and the organisation of secondary education in Mid Herts. The Divisional Executive set up an ad hoc Committee to look at all the implications of ceasing secondary selection altogether. The ad hoc Committee first met in November 1964 and had eight meetings. It invited views from all the schools in the area and teacher representatives. Cuffley was excluded from the figures discussed by the Committee “as it is felt that its future will lie with Cheshunt and the East Hens arrangements”. The response to the consultation of Chancellor’s School was “That the Governing Body is unanimously in favour of the all-through 11-18 comprehensive school for 810 pupils but considers that the following essentials should be provided prior to implementation”. These included accommodation for the extra children, adequate staffing and also living accommodation for the staff and adequate transport facilities to bring pupils to the school. The ad hoc Committee eventually recommended that “no other scheme is as desir­able as the all-through, all-ability 11-18 school”. It further recorded “(a) its reser­vations about the possibility of providing courses of satisfactory flexibility, variety and size in the four form entry, all-ability schools with an age range of 11-18 and (b) its strong feeling that a 6 form entry school would be preferable”. This view was also predominant at County Hall, where officers were busy plan­ning their response to a Department of Education and Science Circular (10/65), which concerned the reorganisation of secondary education on comprehensive lines. This had been instigated by the Labour Government elected in 1964. Discussions about the number of forms of entry were the only point of departure from the ad hoc Committee and centred on the specification for Sheredes Secondary School in Hoddesdon. This was the first school to be built to the County’s new standard brief for the all-through schools. Sheredes was initially proposed as a four to five form entry school but it was now recommended “that the new standard brief should be based on a 5 Form Entry School. This will produce a school of 750 pupils below the VIth Form and … a VIth Form of 85.” It was further recommended “that the new standard brief for a 5 Form Entry School should be applied to existing Secondary Schools where it is capable of application to bring them up to 5 Form Entry Schools and their building up to the standards in the new brief’ (Report of the Clerk of the County Council to Mid Hens Divisional Executive 28th April 1966). Obviously these developments in educational organisation had an effect on both the existing Chancellor’s School and on the proposed Cuffley Secondary School, which was to be on a site in Jones Road, Goffs Oak. Detailed proposals on the implications of the above policy were presented to the County’s Education Secondary Sub-Committee in May 1966. As far as Cuffley was concerned, the proposed secon­dary school was thought to have been on a limited scale. There would have been no sixth form accommodation and the laboratory provision would have been inadequate. There would be advantages, therefore, for Cuffley children if they atten­ded either Cheshunt Secondary or Goffs Grammar schools. The proposed Cuffley Secondary School was thereby abandoned. Chancellor’s fared better. The Sub-Committee were informed that the Brookmans Park area was growing and more accommodation must be provided. It was “suggested that some of the money allocated to the proposed school in Goffs Oak be used for enlarging Chancellor’s School, but this will not be enough to bring it fully up to standard and further accommodation should be programmed as soon as possible”. Before outlining details of this accommodation mention must be made of a concurrent piece of national legislation which would have a significant effect on the future of Chancellor’s. This was the London Government Act 1963. Details were discussed at the Mid Herts Divisional Executive’s meeting in July 1964. When the Act came into force on 1st April 1965 the urban districts of Barnet and East Barnet would be incorporated into the London Borough of Barnet. Together with Elstree District Council those districts until that date were administered by the South Herts Educational Division. After 1st April 1965 that Division would cease to exist. Similarly Potters Bar Urban District would come under control of Hertfordshire County Council when Middlesex County Council merged with London County Council to form the Greater London Council. Now both Elstree and Potters Bar would have local education offices under the administrative control of the Mid Herts Divisional Executive. The estimated cost of this accommodation was £20,033. Ministry approval was received on 10th August 1966. 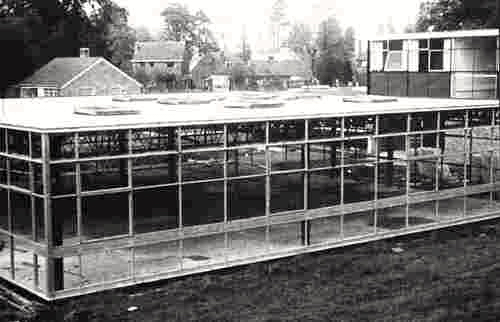 Unlike the earlier building, which was one of the last Hertfordshire schools to be built using an 8’3” planning grid, the new library block was to use the SEAC Mark II system. The area of the new accommodation was 3,316 square feet. The architect was J.A. Wakely. 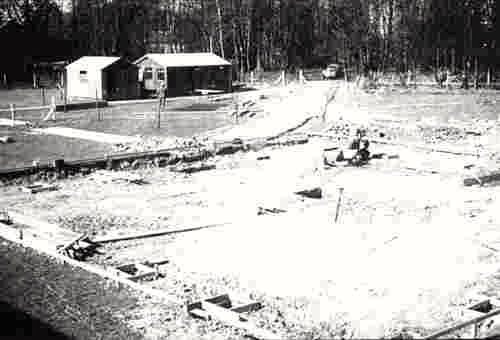 The contractor, Headway Construction, was requested to complete the work by December1967. In fact it was completed ahead of schedule. Pressure for more secondary school places continued with the raising of the school leaving age to sixteen for children entering secondary education in September 1967. At its meeting in May 1967, the County’s Education Secondary Sub-Committee was notified that the Department of Education and Science had approved extensions to Chancellor’s to be included in the 1968-69 Secondary Major Building Programme. An extra 235 school places would be provided at an estimated cost of £120,642. The accommodation was described as a general teaching and science block and was to use a SEAC Mark II Phase II light steel frame. The area of the new block was 17,900 square feet. The architect was R. W. Sears, the contractor F. Hitch and Co. Ltd. Work was to commence in August 1969, which also included adaptations to existing accommodation. Final Ministry approval was received from the Ministry in January 1968. An additional £7,000 was allowed towards improvements to the entry road and provision of a coach turning area. This latter required the purchase of two plots of land totalling 2.64 acres by Compulsory Purchase Order in 1971 from Miss George and the Executors of Mr White (who still own Georges Wood - the land between the school playing field and Pine Grove). The work was finished on the new block by March 1971 and the adaptations by July 1971. A letter was sent to children involved in Secondary Transfer informing them that from September 1971 Chancellor’s school was able to admit five forms of entry of all-ability children. This marked a new era in Secondary Education in the area. Schools in Hertfordshire were no longer to cater only for their immediate vicinity. With the advent of larger schools it was inevitable that greater numbers of children would need to travel to their Secondary School, even to their nearest one. Responsibility for the senior Cuffley children came under the Mid Herts Divisional office and Cuffley children came in greater numbers to Chancellor’s. Similarly, with the County Council’s policy of allowing parental choice at Secondary Transfer, more and more children from the nearby towns of Hatfield and Potters Bar were attracted to the School. This has continued to the present day. A further attempt was made to add a Youth Wing to the School’s premises by including it in the 1969/70 Youth Service Building Programme. This was turned down by the Department of Education and Science. 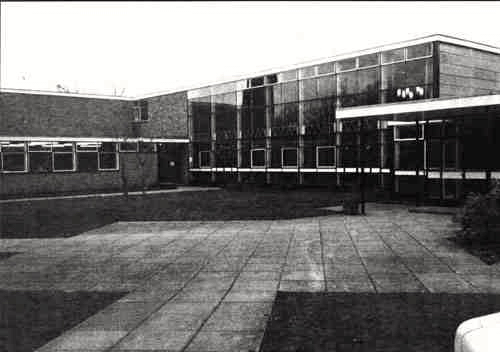 The North Mymms Youth and Community Centre eventually opened in 1975 on a site in Station Road, Welham Green, after a massive fund-raising effort by local people to raise 25% of the building costs. The final phase of the School was included in the 1972-73 R.S.L.A. (Raising of the School Leaving Age) Programme. Facilities required in order to bring the School up to five-form-entry requirements included rooms for mathematics, English, drama, needlework, music, additional dining facilities and a second P.E. space. The present project would include all of these apart from the needlework and music moms and the second P.E. space and would adjoin the current VIth form block. The estimated cost of the building work was £75,000 although the County’s Schools Sub-Committee approved a figure off 95,382 in December 1972 to include furniture and new kitchen equipment. to enable it to provide 550 meals a day. The architect was Twist and Whitley and the contractor was T and B (St. Albans). Work was to start in March 1973 for completion in May 1974. This block used the SEAC Mark III building type. SEAC Mark Ill used metric measurements whilst the earlier Mark II specifications were imperial and produced overall building sizes in multiples of 2’O”, and room sizes in increments of 4”. By 1965 SEAC had reduced the cost per square foot of building from 7s. 8d. (38.5p) for Hertfordshire’s 8’3” grid to 4s. 11d. (24.5p) for the Mark II, thus achieving consider­able savings on building costs for the consortium. At this time it was still the County’s intention to add further accommodation to the School in line with its standard brief for a 750 place secondary school with eighty-five VIth form places. This included a second PE space, music department and youth wing. 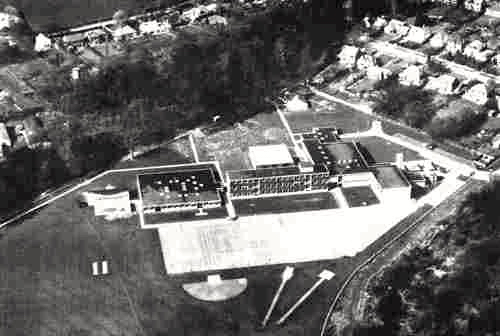 A letter from the Department of Education and Science to the County Architect on 20th February 1973 pointed out, however, that the minimum teaching area for a 750 place plus eighty-five VIth form school was 3,535 square metres. The teaching area at Chancellor’s with the completion of the latest block was 4,045 square metres. The letter concluded that the school already exceeded the currently recommended minimum teaching area. This may have been one factor to explain why the extra accommodation was never provided. With the completion of the last teaching block in May 1974 the School building provision reached the stage that it is at today. A school is a living entity which continually changes and adapts. In its relatively short life Chancellor’s has expanded as well as surviving two threats of closure (in 1979 and 1981) and a proposed amalgamation (in 1986) brought about by the nationwide fall in the number of secondary school age children. In its 25th Anniversary Year the School is thriving, with one of the largest number of pupils in its history. In these circumstances the provision of further buildings cannot be ruled out. This history is just one chapter in the story of Chancellor’s School which started with the passing of the 1944 Education Act. It is as much a testament to the men and women in the Local Education Authority who were determined to respond to it and to subsequent Education Acts, and give the children of Hertfordshire good schools. The following is a selection of photographs that appeared in the original book. Lilian Caras, the author, has always been interested in historical research, particularly in relation to architecture and education. She began her career in local government in 1965 in the Architect's Department of the GLC, Voluntary Schools Section, moving to the Historic Buildings Division and subsequently working for several district councils. Mrs. Caras obtained a degree in Contemporary Studies at Hatfield Polytechnic, and over recent years has attended a number of courses on local history and architecture. 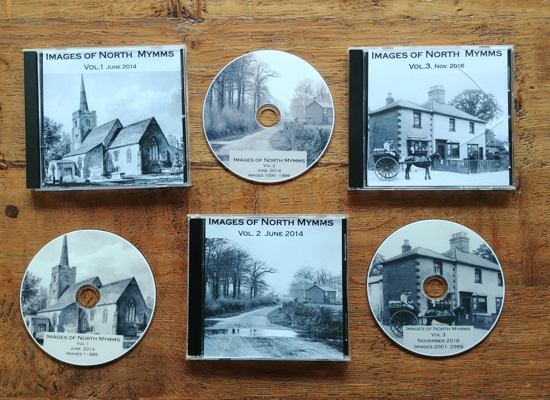 A member of North Mymms Local History Society, she gives talks to schools and societies on local history topics. She is Assistant Editor of Chancellor's Community Newsletter and has also written a history of Brookmans Park Primary School and a building study of the BBC Transmitter Station. Resident in Brookmans Park since 1980, Mrs. Caras was elected a parent governor of Chancellor's in 1987 and again in 1988. Note: The original book, written by Lilian Caras, had a number of other sections covering the teaching staff, first pupils and lists of head girls and boys, chairs of governors, governors and chairs of the PTA. These pages have been embedded below as a PDF, which you can pop out to full size using the button top right of the image below. The ISBN number is for Chancellor's School - The Background by Lilian Caras is 0951458906. A comment was posted at the foot of this piece on Thursday October 11, 2018 pointing out that the name of the Chancellor's head boy for the year 1977/78 in the embedded pdf of the appendices of the book (above) is incorrect. The information has been checked and verified with the author, Lillian Caras. The head boy for the year 1977/78 was Martin Ferdinando, not Julian Lee as stated in the book. Apparently, the author had been given the wrong information when the book went to print. The board in the school hall - which was put up after the book was published and the error noticed - has Martin's name as head boy.